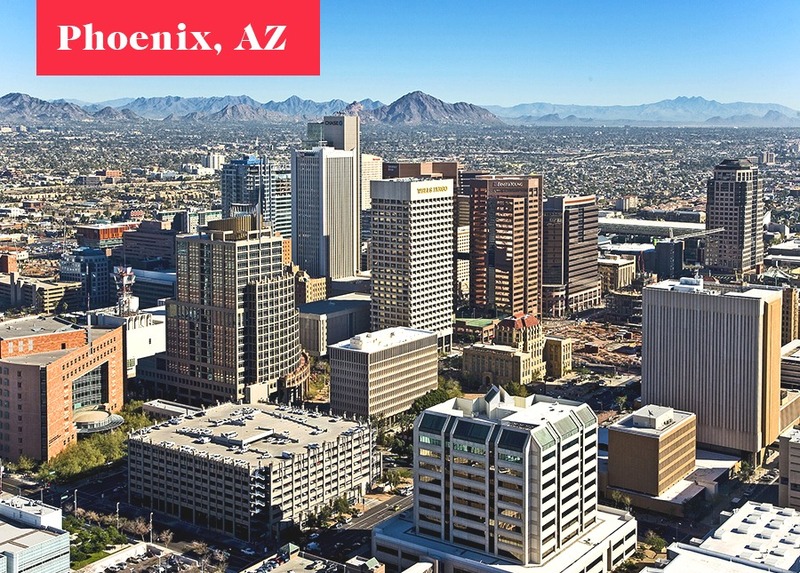 The American Southwest has everything from natural wonders and ancient ruins to an exciting regional cuisine, making it one of the most fascinating regions in the country. 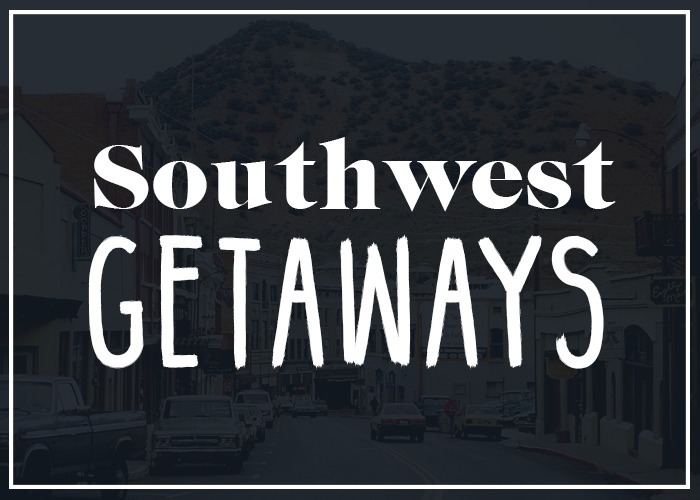 And, if you’re planning one of the best Southwest weekend getaways, public lands and camping are keys to keeping costs down. Nominal entrance fees at national and state parks put privately-owned attractions to shame, while a plethora of amenity-rich campsites save you from having to shell out limited funds on hotels. 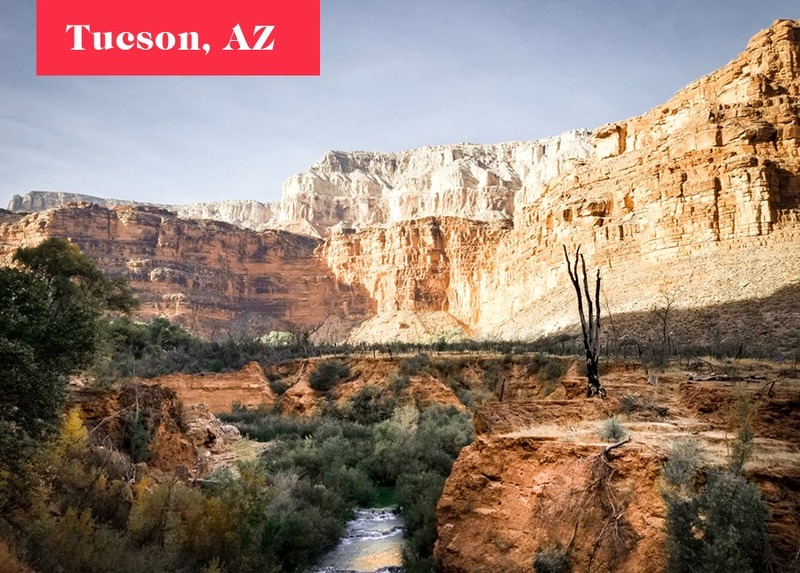 If the Southwest is calling your name, late fall and winter are great times to visit. High season is now over for popular destinations in the Colorado Plateau, and the summer monsoon’s hellish heat and violent rains have long since evaporated from the lower deserts. Start planning your next weekend trip to one of these ten affordable getaways. This former silver mining community went bust several decades ago but has been reincarnated as a quirky, colorful retreat perfect for affordable Southwest weekend getaways — a liberal enclave in rural Arizona. Don a hardhat and ride a mine train into the Copper Queen Mine, or gawk at the massive, open-air Lavender Pit for free. Bisbee’s main attraction is its historic urban fabric that has changed little in 70 years: lively Brewery Gulch and thriving Main Street give way to cute bungalows accessed via steep, WPA-era concrete stairs. 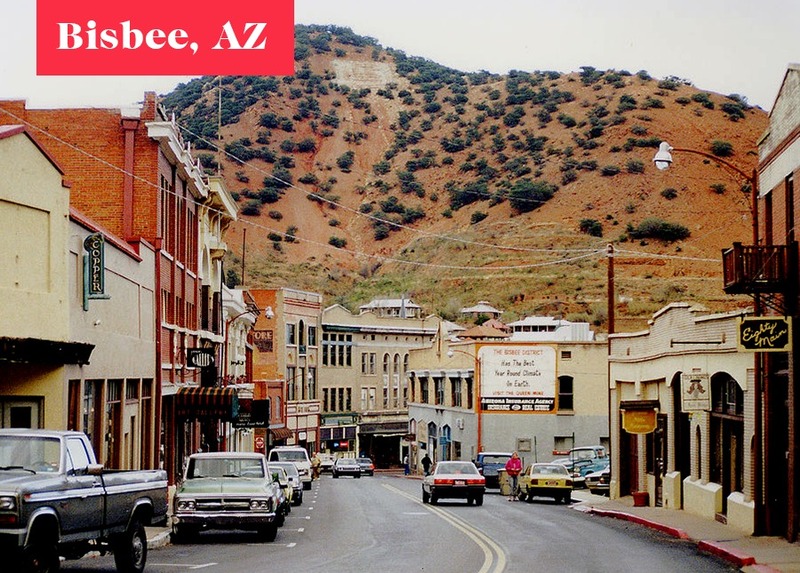 Bisbee even has its own suburb — Lowell — whose main street feels like a time capsule from the 1950s. More information here. Outdoorsy types will love Durango, a perfect home base for everything from hiking and fly-fishing to whitewater rafting, mountain biking, and skiing. You’ll feel like you’re in the Old West in Durango’s historic downtown, but you’re never too far from craft breweries, creative restaurants, and live music. In summer, old-fashioned steam trains link Durango with the former mining town of Silverton. Hit up Mesa Verde National Park to discover how Ancestral Puebloans once lived in nearby cliff dwellings only 700 years ago. More information here. 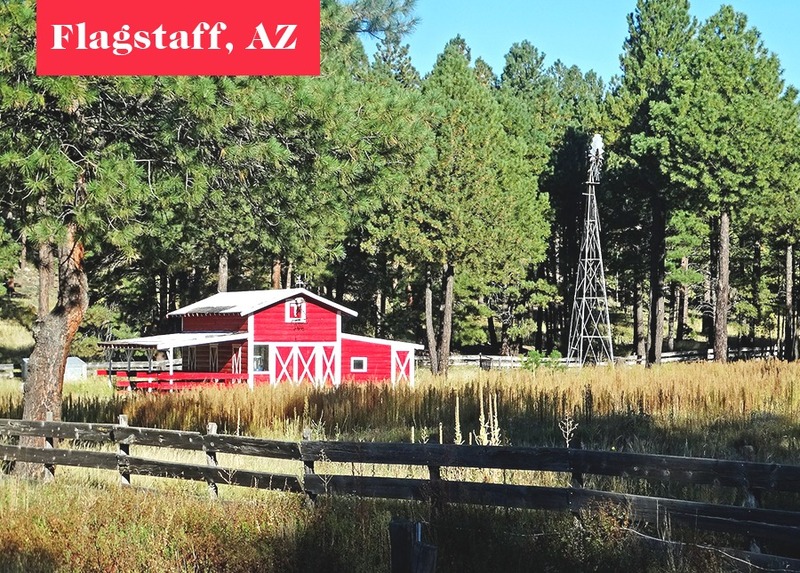 Flagstaff’s the obvious getaway for anyone living in the Phoenix metro area: sitting almost 6,000 feet higher than the Arizona capital, Flagstaff offers cooler temperatures, clean, forest air, and plenty to keep you busy. Its historic, walkable downtown revels in its Route 66 heritage and its modern identity as a thriving college town full of coffee shops and breweries. Three national parks to the east guard Ancestral Puebloan ruins, a thousand-year-old volcano, and a canyon that cuts deep into the woods. Flagstaff’s International Dark Sky City designation means it’s easy to stargaze — just don’t forget to bundle up. More information here. This small town is easy to miss, snuggled up as it is against the warm tones of the Vermilion Cliffs. 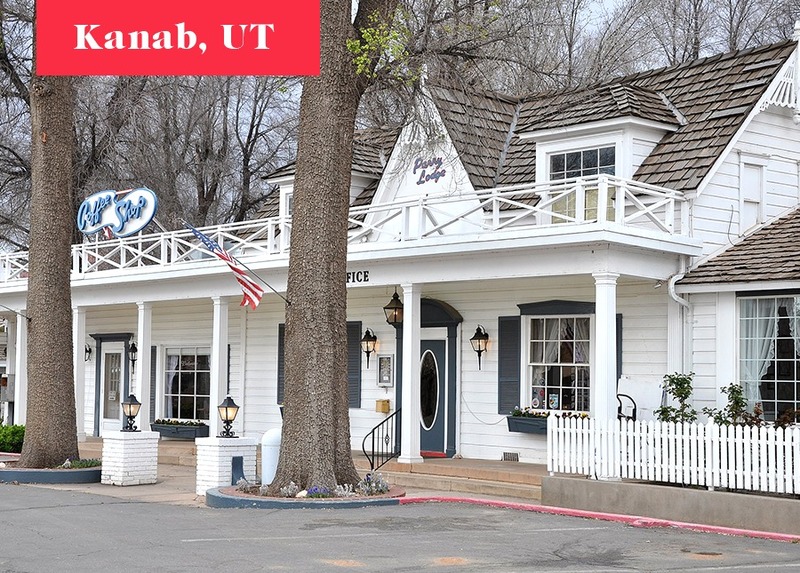 But Kanab, whose Mormon street grid generates peculiar street addresses like “100 S 100 E,” offers delightful eateries in every direction, from espresso bars and a French-style bakery to an art-bedecked restaurant serving up Italian, Indian, and Southwestern fare. Kanab is centrally located between the popular Zion National Park, the vast wilderness of Grand Staircase-Escalante National Monument, and the otherworldly Coral Pink Sand Dunes State Park. Hikers line up early each morning at the local BLM office to enter into a lottery for permits to visit The Wave, a famous nearby rock formation. More information here. 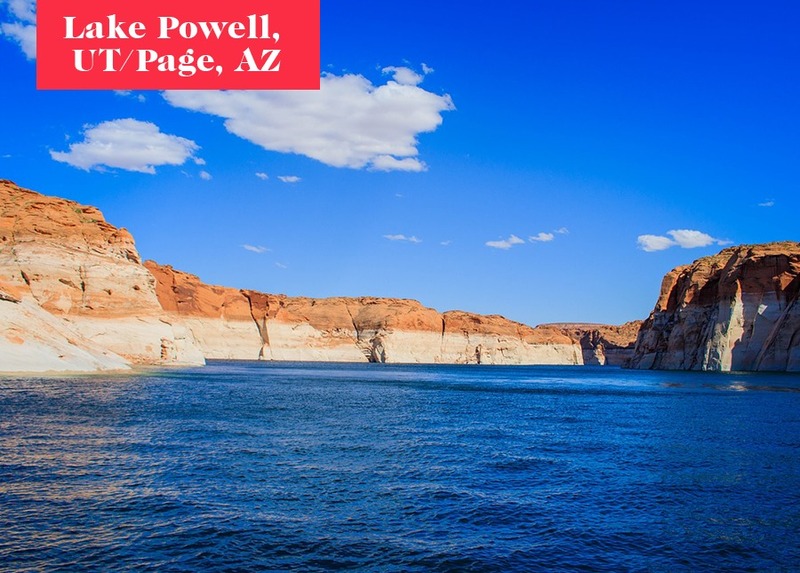 Currently the largest reservoir in the U.S., Lake Powell is a manmade lake whose inky blue tendrils stretch deep into southeastern Utah’s stunning slickrock country. Around two years’ worth of water that Arizona, California, and Nevada consume is held back behind Glen Canyon Dam, a massive arch-gravity dam that you can walk across and explore its internal engineering. Sleep under the stars by the lake, go fishing, hiking, or kayaking, or take a ferry to Rainbow Bridge, the world’s highest natural stone bridge. More information here. Bear with me here: Vegas doesn’t have to be expensive. Between cheap flights and rock-bottom rates on hotels in the winter, you can make an affordable weekend out of Vegas—as long as you don’t gamble your savings away. 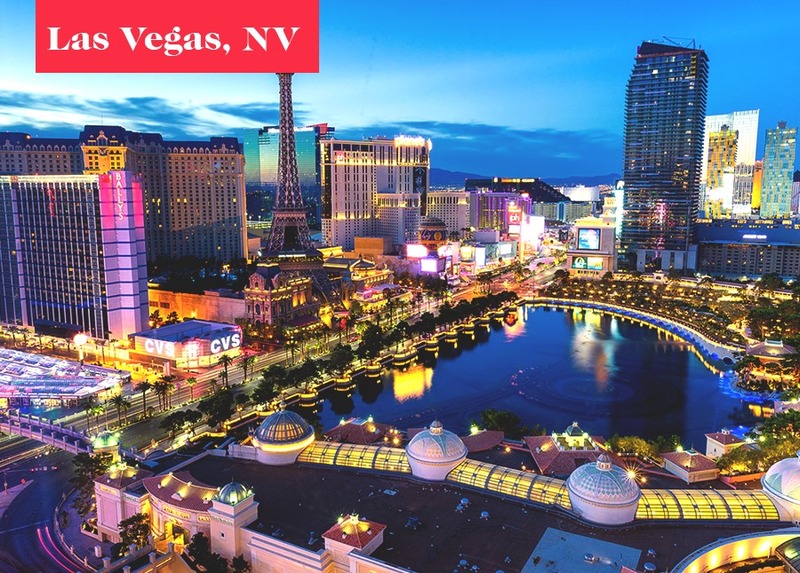 Hang out downtown instead of the Strip, where there’s plenty to keep you occupied, from light displays, museums, art galleries, and yes, casinos. Outside of town, take in the dreamy desert vibes of Valley of Fire State Park as you hike to red-and-white striped rock formations, or venture to the monumental Hoover Dam, which generates power and drinking water for Vegas and countless other cities. More information here. Texas is so big that 500 miles separate Dallas from Marfa, yet both belong to the same state. 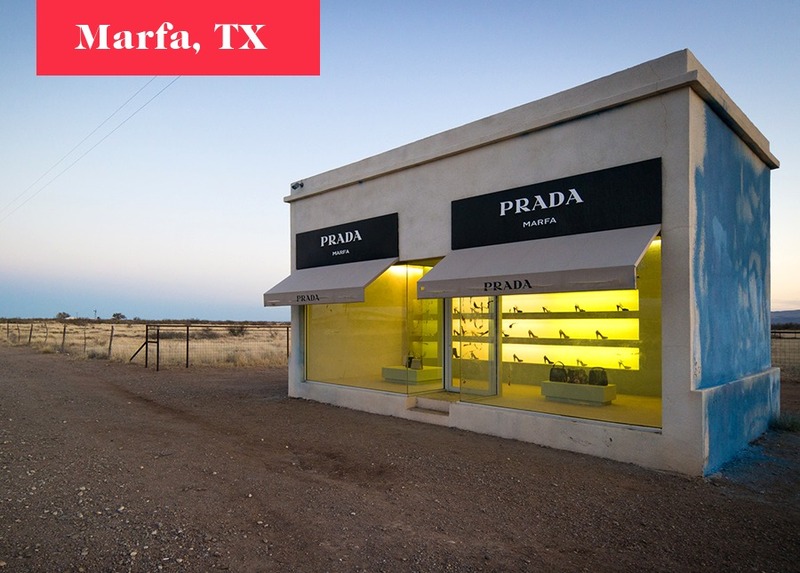 But while Big D dwarfs Marfa in size, the latter is just as much an arts destination, between the Chinati Foundation and the Insta-worthy Prada Marfa installation to several art galleries in town. Break up your arts appreciation by ducking into boutique and vintage shops or by sitting out on the edge of town at dusk to watch the town’s eponymous ghost lights dance in the desert. It’s so dark out here, though, that the University of Texas built the McDonald Observatory north of town, where you can peep in the telescopes and marvel at the heavenly bodies. More information here. With the best urban hiking in the country, Phoenix serves up a menu of challenging, yet doable, mountain summits. You’ll feel like you’re ordering off the kid’s menu, though, when you’re ready for a post-hike meal; multiple restaurants here specialize in Naples-style pizza, mac ‘n’ cheese, and Southern-style fried chicken. Professional baseball teams do spring training in March, when you can watch MLB teams play each other at laid-back matches for a fraction of the price of regular season tickets. Time your visit right to the Phoenix Art Museum, the largest in the Southwest, to receive free admission on First Fridays and the second Sunday of the month. More information here. Step off the commuter train from Albuquerque or the cross-country train that runs between Chicago and L.A. and you’ll soon learn why Santa Fe has enchanted visitors for generations. A veritable Mecca for art lovers, you have your pick of galleries and museums to choose from, including a collection of Georgia O’Keeffe paintings. 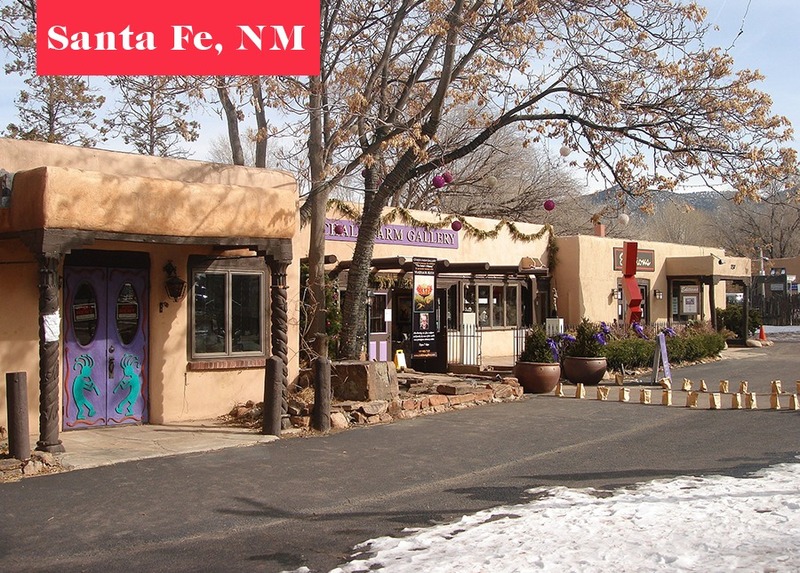 Explore the historic Spanish townsite that’s full of adobe-style buildings, then pull up a chair at a restaurant to learn why there’s more to New Mexican cooking than just red vs. green chile peppers. Hiking opportunities abound in next-door national forests. Further north, the country’s longest continuously inhabited place invites you to put Santa Fe’s colonial heritage into perspective: Taos Pueblo. More information here. Unlike Phoenix, Tucson (pronounced “TOO-sahn”) fully embraces its desert setting and Native- and Spanish-influenced heritage. Savor Sonoran cuisine by ordering a chimichanga, a deep-fried burrito invented in Tucson, or a bacon-wrapped, bean-drenched Sonoran hot dog. By day, wander around Barrio Viejo (the “old neighborhood”), whose colorful adobe houses reveal the character of the Old Pueblo. By night, hop from one dive bar to the next along Congress Street—just make sure to try the local smoked whiskey, malted over local mesquite wood. Two units of Saguaro National Park bookend the metro area and protect vast “forests” of the Sonoran Desert’s Saguaro cactus, found nowhere else in the world. More information here. TFD Is Looking For A Video Editor!